by Dit Buchan and Mary Hynson. Whether planning a large elegant wedding or a small business cocktail party, Secretariat will help create a flawless event. 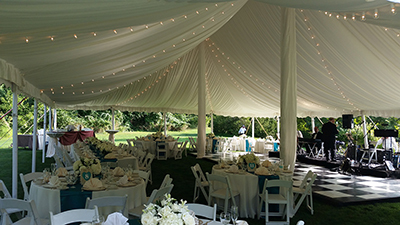 Along with our planning, advice, and etiquette guidelines, we can also help you select the most competent vendors in the area for your event. Experienced, highly professional and service central staff to guide you through the planning process. Secretariat offers 100% personalized service - you select the services that best suit your needs. Secretariat has been woman-owned and operated in Wilmington since 1948, and under the helm of its fourth owner, Samantha Diedrick Harris, since 2002. Secretariat has been named Best Event-Wedding Planner by Delaware Today Magazine's annual Best of Delaware Awards five times. In the December 2014 issue of Delaware Today Magazine, owner Samantha Diedrick Harris was honored as one of 36 "Women in Business" leaders in the state. She was recently featured in The News Journal Style Files section.